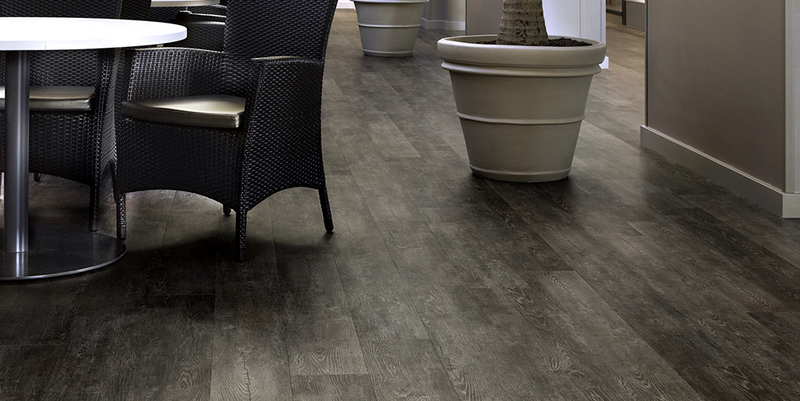 PVC laminates and floor coverings have gained a substantial slice of the market. Both for their aesthetic qualities – increasingly defined and varied – and for their practical simplicity which, in the floating versions, means they can be laid without glue. Under the laminate – protective first and decorative second – the core was – and is – a panel of HDF. 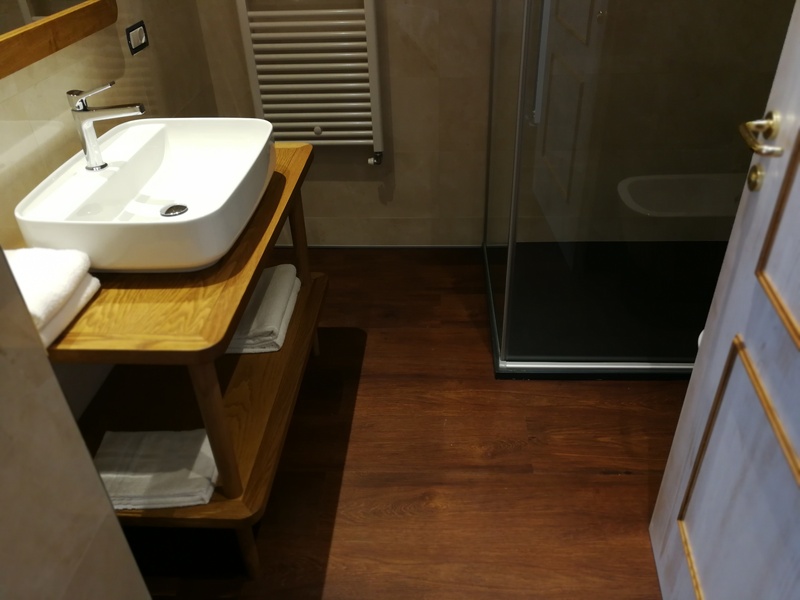 Wood fibre mixed with resin and compacted using pressure and heat, its most important limitation was its susceptibility to damp, which can cause swelling and warping. Indeed, the bathroom was off limits. Fortunately, new technology and materials research have taken giant steps forward. Aspecta ® , the world leader in the sector, has created an exceptional product: let’s look at its composition. 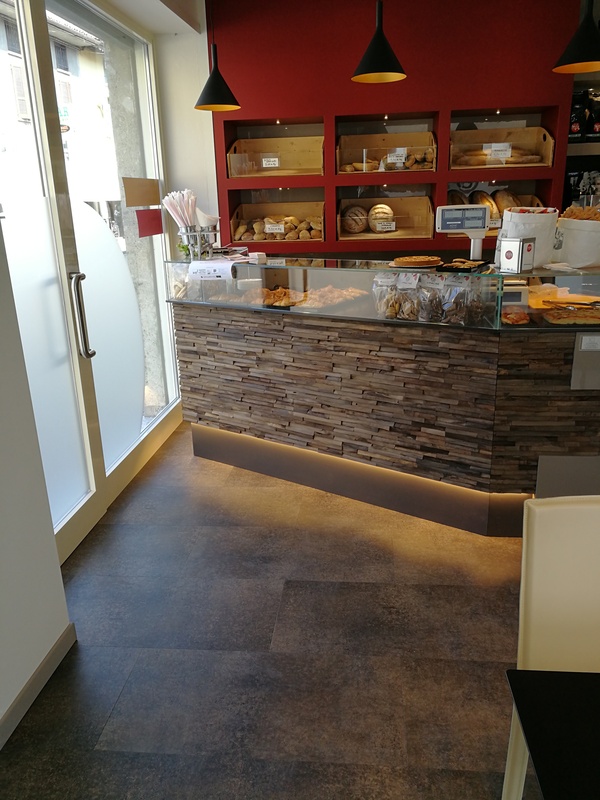 The protective upper layer has been improved by adding ceramic powder which guarantees maximum resistance to footfall and staining. An antimicrobial agent, dispersed in the same way as silver salts in gres, ensures long-lasting hygiene. To lend a hand, there’s a second “wear and tear” layer to guard against scratches and knocks (1 and 2). The decorative part is printed in high resolution and pressed on a 3mm sheet, giving depth and a pleasant texture (3 and 4). The core is the most important part. 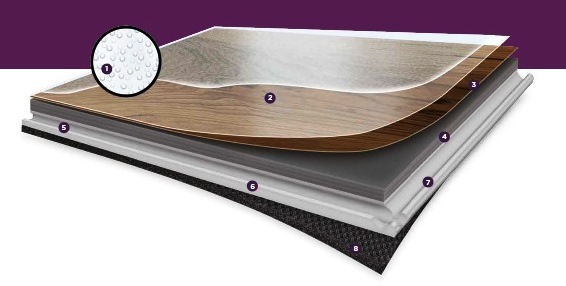 ISOCORE technology consists of an extruded vinyl closed-cell structure. Rigid. Robust. Waterproof. 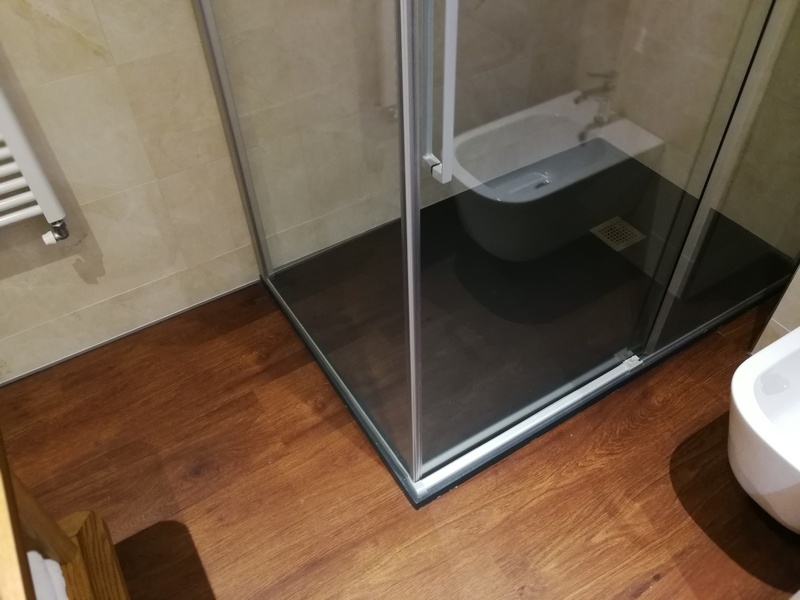 You can even install it in the bathroom with no fear of moisture damage, or on a heated floor: heat transmission is guaranteed and the slats withstand dilation without cracking. 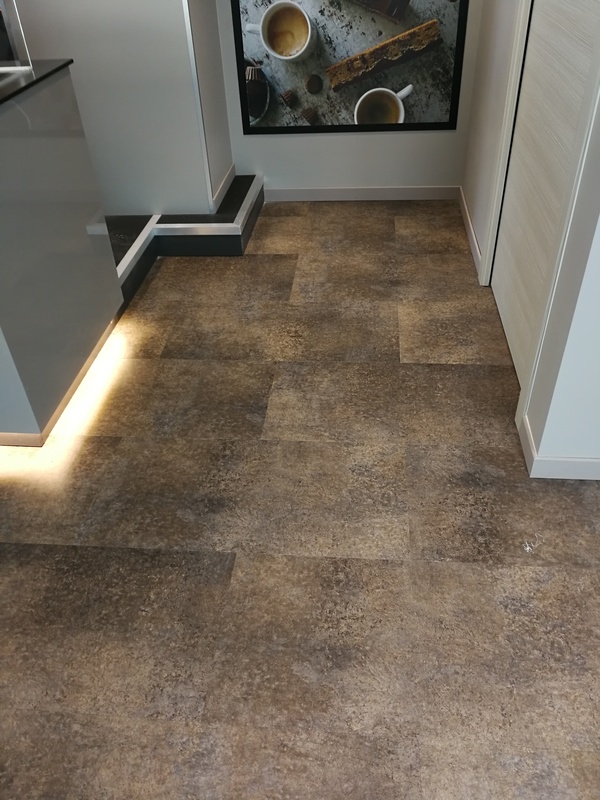 Complete, beautiful, functional, technologically advanced: the entire range can be viewed in our showroom.